Though New York and Los Angeles may get more attention in the entertainment industry, Chicago is the real birthplace of modern comedy. 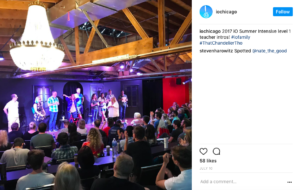 From practically inventing the artform of improv to long running institutions like Second City, Chicago will forever hold a place in comedic history. If you’d like to get into the comedy game, the city has a plethora of classes to choose from, but here are the very best in the Windy City. 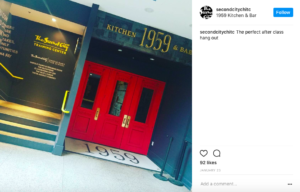 Before The Groundlings and UCB, there was Second City. Stars like Mike Myers, Alan Arkin, Steve Carrell, Bonnie Hunt, Tina Fey, and many, many more got their start at the theater. Today, they still hold some of the best comedy classes in the country and the school hosts an amazing sketch writing program. The faculty is entirely comprised of comedy professionals who’ll help you bring your funny ideas to life. IO is the OG. The Harold was invented here and it’s the first real home of long form improv. So, what better place to learn the craft than from the masters? The IO school holds a variety of classes, but their basic improv class gives you an excellent foundation for the rest of your comedy career. Whether you aim to be on one of their Harold teams one day or just want to get out of your shell and meet interesting people, you’ll have a great time in their classes. 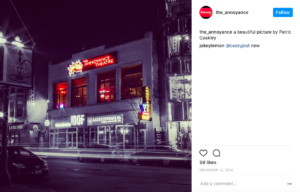 The Annoyance is another wonderful comedy theater that calls Chicago its home. You’ll find edgier, more experimental works at the Annoyance and they have some amazing workshops to show off their comedic philosophies. They have tons of classes, but the workshops are a great way to sample their style. You can take anything from writing to clowning, a range you won’t find anywhere else. Plus, they’re comedy writing sampler workshop is free! Comedy Sportz is one of the biggest names in national improv, so if you’d like to give short form a try, this is the place to go. Every class is incredibly fun and helps stretch your performing skills and imagination. You don’t need to be an actor or writer to take their class, you’ll find people from all professions and different walks of life. They also have an advanced class that culminates with a month of shows at the theater, so it’s ideal if you’d like more performing opportunities. 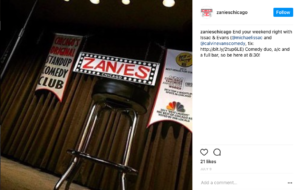 If you’ve always loved stand up but have been scared to give it a try, head over to Zanie’s. The excellent comedy club offers month long beginning stand up classes that teach you the basics of joke writing. You’ll also learn performance tips and how to turn what you find funny into concise, hilarious material. The class meet once a week for four weeks and only costs $99. If you’re a college student or prospective college student who wants to make a career out of comedy, check out the Comedy Studies program at Columbia College Chicago. One of the only degree programs that focuses entirely on comedy, you’ll learn everything you could possibly want to know. The faculty is comprised of impressive professionals who’ll help you hone your writing and performing skills while preparing you for the technical aspects of the entertainment industry. If you can nab a class with Peter Gwinn, former Colbert Report writer and author of Group Improvisation (also one of the funniest people to ever live), you won’t regret it. Since the Onion made it’s home in the city, Chicago has become a hub of top level satire. 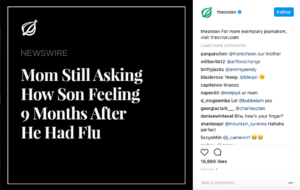 In conjunction with Second City, the Onion offers beginning, intermediate, and advanced classes in joke writing and satire. This has a different feel than an average sketch or stand up writing class, since a premium is placed on political material. It’s not all about politics, but you will learn how to provide satirical material about all the ridiculous things in life.